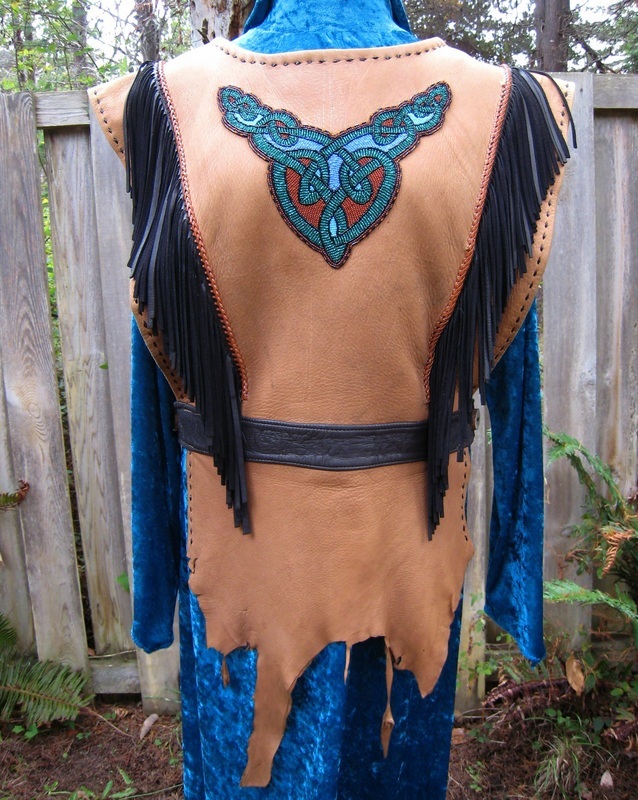 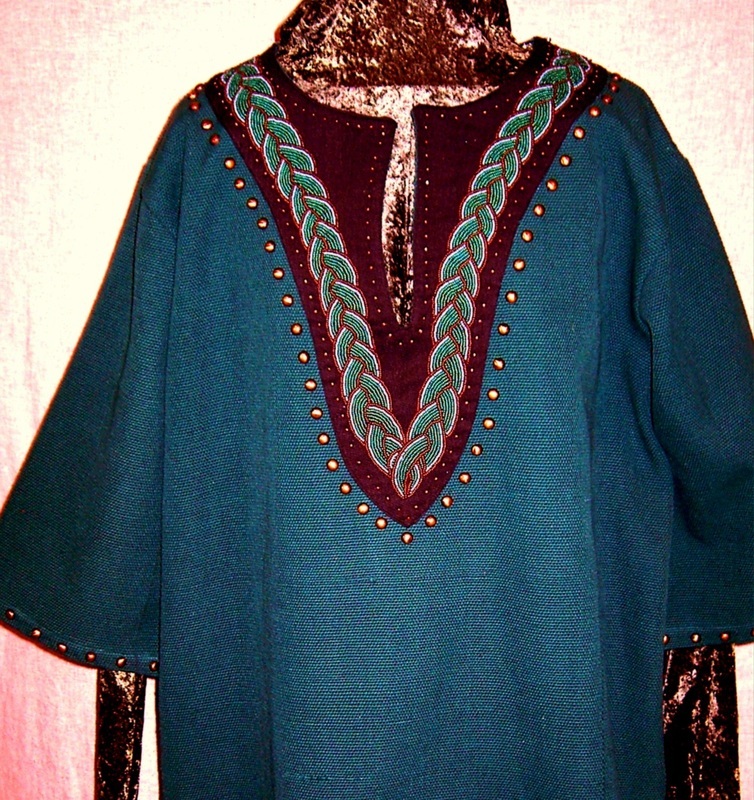 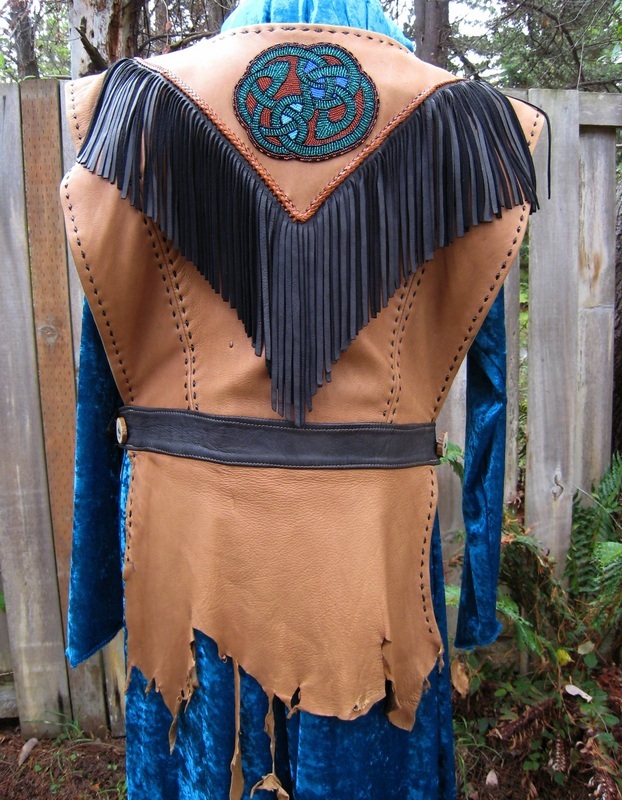 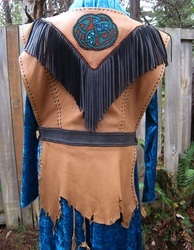 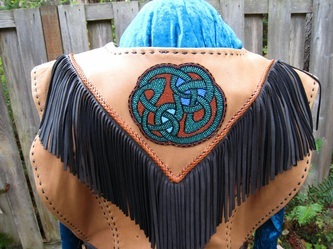 Deer skin tunic has fringe and hand braided details, horn button side closures and Celtic Knots front and back. 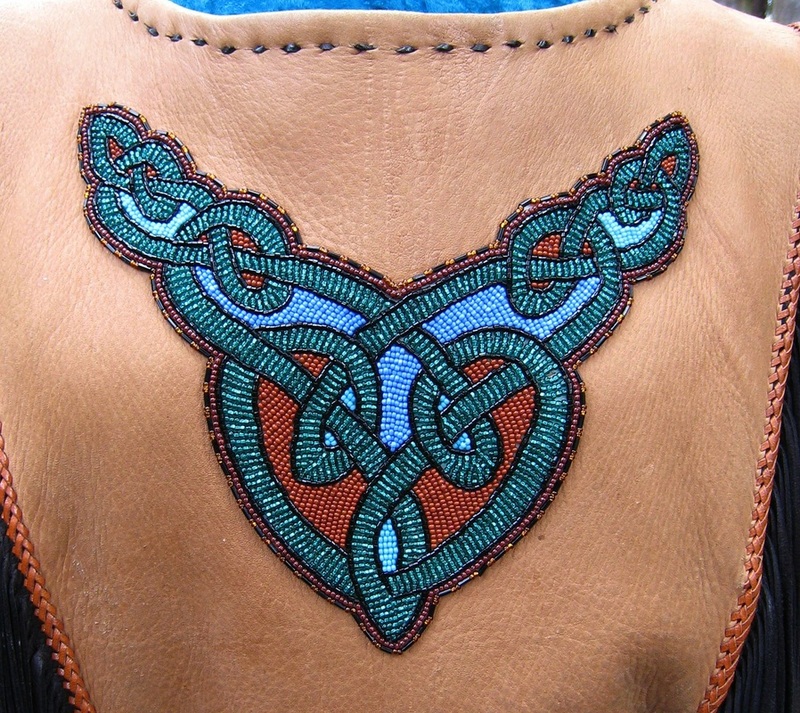 There is a sub-culture in the Western tradition of clothing, poetry and music with this mix of national identities. 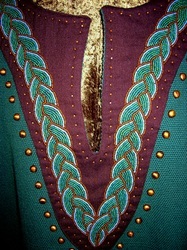 shows the hand beaded design that circles the neck opening. 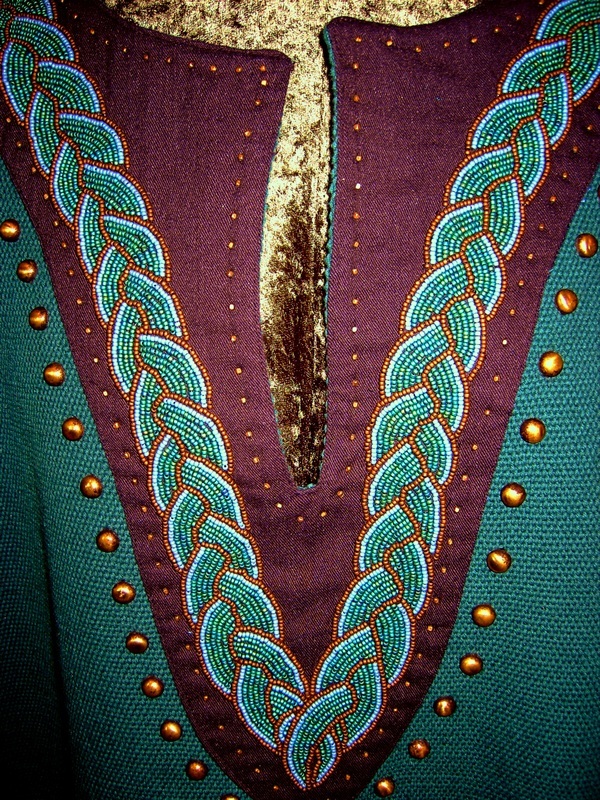 Brass spots define the edges.